After a chat with my former teacher and friend Nicolas Nova on design fiction terminologies I had the pleasure to receive from him a list of references (pasted in this blogpost, he also posted them on his blog). At the start of the conversation were the idea of using the “design friction” appellation. We thought it were new, when we found it with Remy Bourganel, here at EnsadLab. However, as pointed by Nicolas, Monica Gaspar Mallol already talks about it in her paper “Displaying f(r)ictions. Design as cultural form of dissent”, presented at SDN2010 in Bâles, Switzerland. I remember I attended this conference and made a student presentation with Leila Jacquet, as being part of HEAD media design master, at the time. Gaspar Mallol, M. (2010). Displaying F(r)ictions (p. 112). 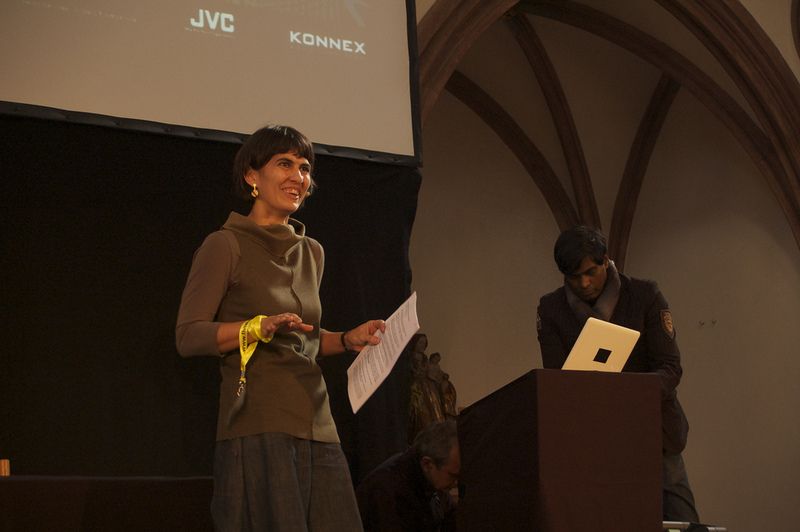 Presented at the Proceedings of the Swiss Design Network Symposium, Bâles, Switzerland. There is no pdf version of this paper online, I have a hard copy one at home (if you want it scanned). Find the full paper presented in another conference here Mallol, M. G. (2011). F(r)ictions. Proceedings of the 6th International Conference on Designing Pleasurable Products and Interfaces (DPPI), 1–6. Also Find Monica’s presentation on the SDN website. This paper examines at close quarters the role of fictions in design, in order to push forward the scope and influence of critical discourses in design. It aims to raise a cross-disciplinary debate around the redefinition of the design profession and also around the practices of curating and reflecting on design. Main theoretical reference has been “The practice of Everyday Life” by French sociologist Michel de Certeau. Certeau’s work has influenced the thinking of three authors that were relevant to further elaborate this study: the combination between material culture, design history and gender studies by Judy Attfield; the theory on relational aesthetics developed by Nicholas Bourriaud and the thinking of Jacques Rancière, specially his notion of dissent as form of political subjectivity that can create new modes of sensing. In order to test its arguments the paper establishes two scenarios, where negotiations between reality and fiction take place: the home and the museum. On the one hand, representative examples of critical design are examined and put in dialogue with the theoretical positions. On the other hand, the paper examines the transformations that happen in the museum’s space, when displaying critical design becomes a kind of rehearsal for alternative ways of living. Two exhibitions were analysed: Wouldn’t it be nice… Wishful Thinking in Art and Design (Museum für Gestaltung, Zurich, 2008) and Out of the Ordinary: Spectacular Craft (V&A, London, 2008). The final part of the paper discusses how such positions in design play a critical role in society, by setting up micro-situations of dissent (disagreement), and in doing so they generate new forms of sensing and making sense in contemporary living. Conclusions will point at the potential of these design fictions (understood as projections) and frictions (considered as irritations) in order to re-fabulate the commonplace. When looking more around this appellation of “design friction”, there is are much other people using it (send me a message @maxmollon, if you find something). Philippe Gargov (from the blog “pop-up urbain”) for instance, also proposed to use this expression in december 2013 – without updates since then, unfortunately. However lot of other appellations are used, some new ones that do not last (glitch fiction) and old ones that became classics (mainly critical design, design fiction and soon, speculative design). (Taken from personal communication, Dublin, February 03rd, 2012). Let’s add to this list, counterfactual & alternative histories, critical software (Fuller, 2003), critical technical practice (Agre, 1997), reflective design (Sengers, Boehner, David, & Kaye, 2005) and critical engineering (Oliver, Savičić, & Vasiliev, 2011). This number of appellations shows that it is difficult to limit these approaches to only one “school” of practices, or one group of designers. Edit (2017.sept.17th): I expanded and refined this list of labels in the writing of my PhD thesis. It will be out soon, here or on Medium.com probably. If you have good sources about this topic I’d be glad to upgrade and discuss this. I’d love to know more about your mission and how this post helped you. As updated in the article just now: I expanded and refined this list of labels in the writing of my PhD thesis. It will be out soon, here or on Medium.com probably.